Rare opportunity to live the good life, just 25 mins from Albany. Move straight in and enjoy this spacious, beautifully presented single level brick home, nestled on approx. 2 acres of manageable gardens and paddocks. Complete with well-appointed, nearly new kitchen, wood burning fire, en-suite bathroom and a fabulous entertainers patio! The roomy double garage has room for all your vehicles and toys, plus plenty of off street parking for extra cars and boat! The 2 acres provide plenty of space for stock, ponies, chooks and children to run around or that veggie patch you've always wanted! What a great place to bring up the family or retire in style! 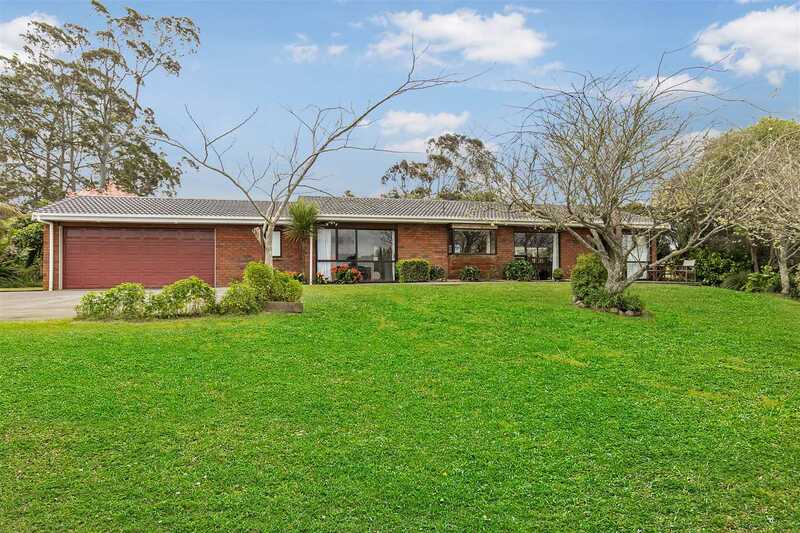 This rural community is only 25 minutes back to Albany Westfield or 20 minutes to Silverdale shopping and SH1. Kaukapakapa village is just a couple of minutes away with its school, shops, takeaway & pub! don't delay, call me today to view! Chattels remaining: Fixed floor coverings, Light fittings, Curtains, TV Aerial, Garden Shed, Dishwasher, Oven & Hob, Extractor Fan in Kitchen.